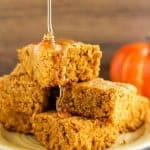 Pumpkin Cornbread – Moist and tender homemade pumpkin cornbread with a slight sweetness and subtle pumpkin flavor. A delicious seasonal twist on cornbread. It can also be made gluten-free, if necessary. Hi there! I’m keeping it short and sweet today. We have a busy day filled with football, Halloween costume prep, and a pumpkin carving party. I hope you have fun plans too! I’ve made this Pumpkin Cornbread twice recently. It is absolutely perfect for this time of year. The addition of pumpkin adds a delicious seasonal twist, and it’s the ideal accompaniment to the comfort foods we are drawn to as the weather cools. A warm slice of pumpkin cornbread slathered in butter and drizzled in honey is great on its own, or served alongside chili, soup, or stew. This cornbread is moist, tender, slightly sweet, and subtly spiced. 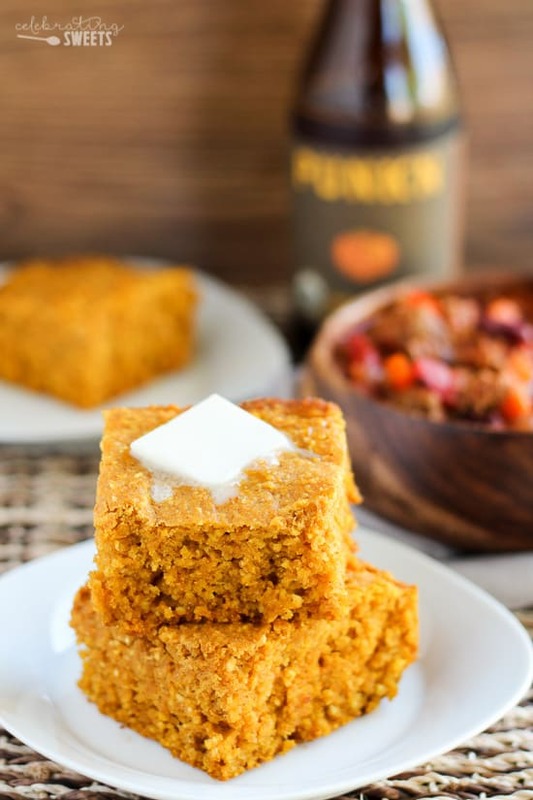 It has a faint pumpkin flavor that adds to the cornbread without overpowering it. Prefer Gluten Free Pumpkin Cornbread? 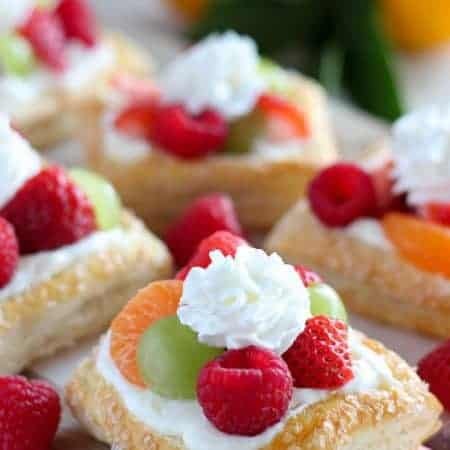 As an added bonus, this recipe can easily be made gluten-free! 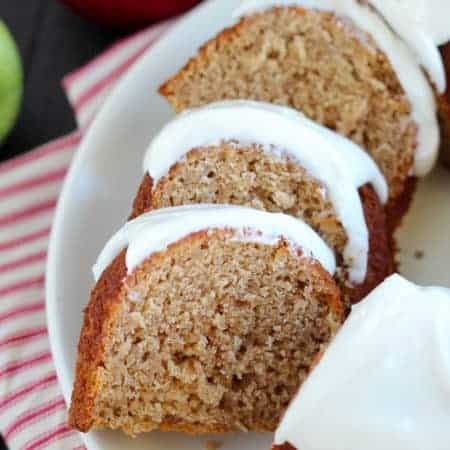 I’ve tried this recipe with regular all purpose flour, as well as a gluten-free baking blend, and it was fantastic both ways! Whichever way you make it, I hope that you enjoy it as much as my family did! Instead of baking this cornbread in a baking pan you can divide the batter between 10-12 muffin cups and bake for about 15 minutes, until a toothpick inserted into the center comes out clean. 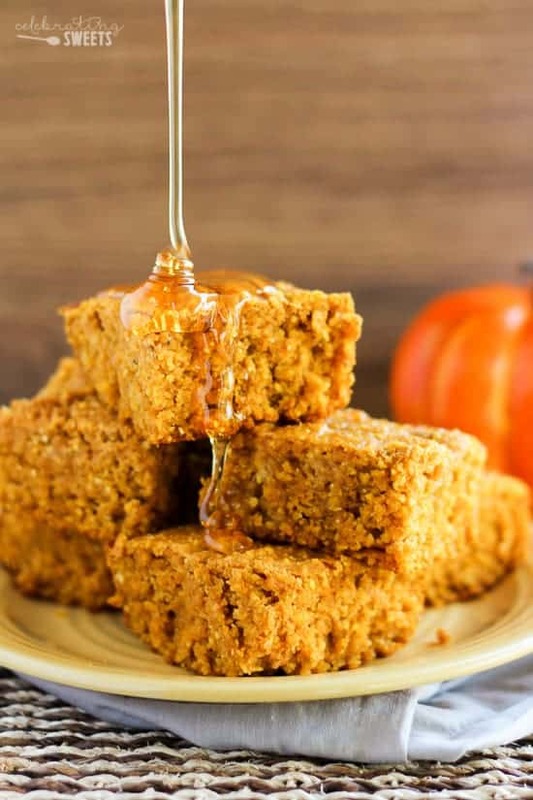 Moist and tender homemade pumpkin cornbread with a slight sweetness and subtle pumpkin flavor. A delicious seasonal twist on cornbread. It can also be made gluten-free, if necessary. Preheat oven to 350°F. Grease a 9x9 square baking pan. In a large bowl, combine flour, cornmeal, baking powder, baking soda, salt, and pie spice. In a separate bowl whisk eggs, pumpkin puree, honey or syrup, oil, and milk until combined. Pour the wet ingredients into the dry ingredients and stir until combined. Pour the batter into the prepared pan and bake for approximately 30 minutes (begin checking it at 25 minutes). A toothpick inserted into the center should come out clean. Serve warm with butter and honey. When making this recipe gluten-free I used Bob's Red Mill 1-to-1 Gluten Free Baking Flour. You can also make these into muffins by dividing them between a 12-cup muffin tin and baking at 350° for about 15 minutes, or until a toothpick inserted into the center comes out clean. 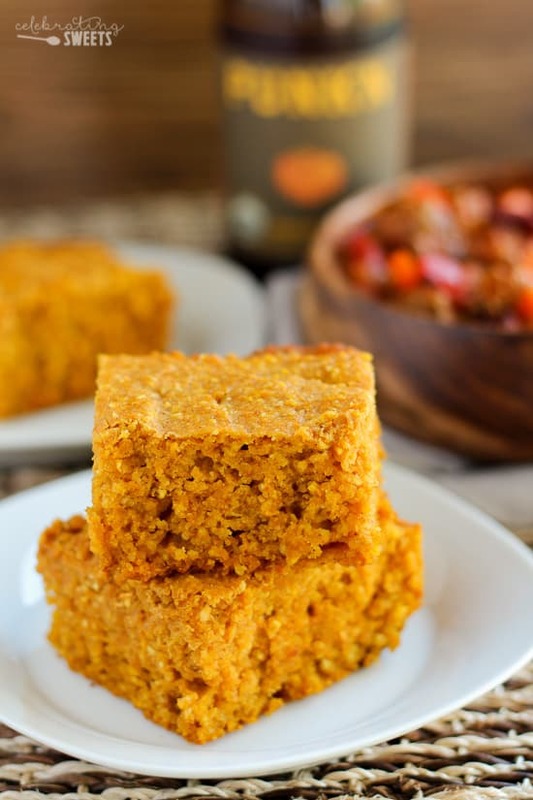 Pumpkin cornbread sounds divine! I would love to have that to everyday!!! This is our absolute most favorite cornbread of all time! We go to the GF route, and it’s fantastic. Made it countless times last Fall, and we just made it for the first time this Fall last night 🙂 Thanks for the incredible recipe! I’m so happy to hear that! Thanks for taking the time to stop by. 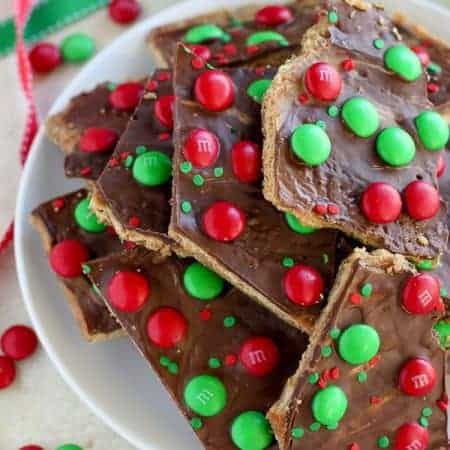 This recipe looks great! I will be making them days in advance for a weekend party but I don’t want them to be dry. Will they keep that long in the fridge or should I freeze them? What is the best way to reheat them? I would keep them in the fridge for up to 2 days, any longer I would suggest freezing (very tightly covered). Bring to room temp, then heat in the oven. Maybe even add a pat of butter and/or drizzle of honey to each slice near the end of heating time to keep it moist. Enjoy!